In this series, R.C. Sproul says that our ideas about God are often too vague or just plain wrong. 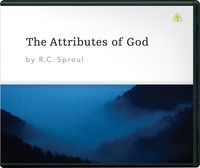 This series provides an informative and challenging survey of God’s attributes. i love this one it has been one of my favs, i think it puts GOD where he belongs in spirit and not a man something more powerful!! !